Dr Yasner,ï¿½you made it seem easy.ï¿½ It was a lot easier than I thought it would be." Michael Sullivan, D.M.D. | Michael Yasner, D.M.D. | Shahin Kazemi, D.D.S. | Vu Dang La, D.M.D. 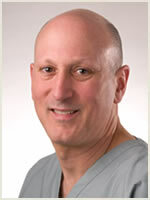 Dr. Michael Yasner has practiced in Cherry Hill since joining Dr. Sullivan in 1986. Dr. Yasner is from Long Island, New York. He came to the Philadelphia area to attend college at the University of Pennsylvania, staying on to attend Penn's School of Dental Medicine. At Penn, Dr. Yasner received his dental degree, a Fellowship in Advanced General Dentistry, and his Certificate in Periodontics. Currently, Dr. Yasner continues his involvement with Penn as Past-President of the Dental Alumni Society, member of the Continuing Education Committee and Adjunct Assistant Professor. In 1992, Dr. Yasner became Board Certified as a Diplomate of the America Board of Periodontics. Dr. Yasner is a member of the ADA and the American Academy of Periodontology.Excellence in patient care, wonderful communication skills, close coordination with referring general dentists and dental specialists and a great sense of humor have all contributed to Dr. Yasner's success. When not practicing Periodontics, you can usually find him bike riding, traveling, volunteering at his synagogue, (Temple Beth Sholom) or spending time with his family.